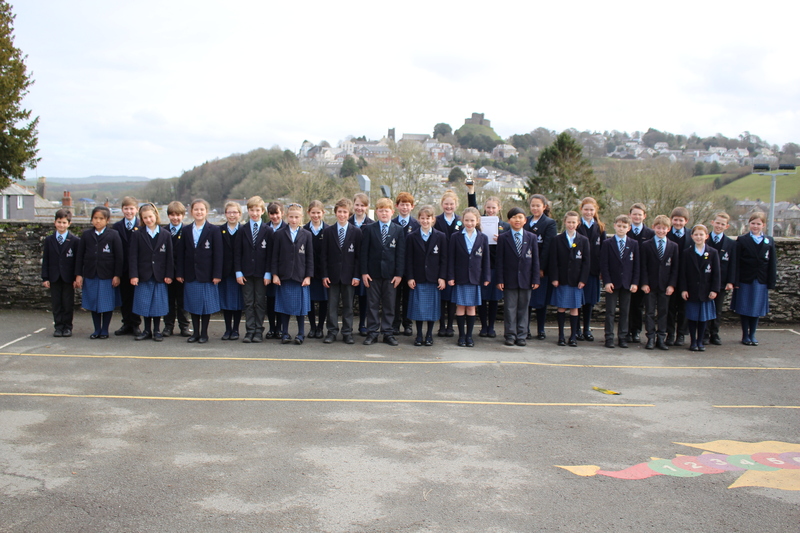 Over fifty pupils from St Joseph’s School participated in the annual Wadebridge Music Festival last week and won individual and group honours in a wide range of categories. This prestigious festival of Music and Speech runs for five days and includes speech, brass, choirs, instrumental and vocal competition classes. 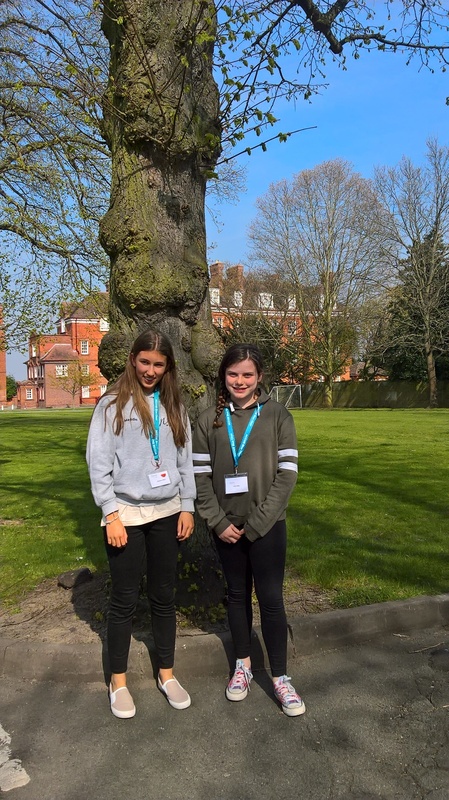 The Junior Choir (Years 5 and 6) and the Senior School elite choir Canzonetta both sang beautifully and won their classes with distinction. Canzonetta were also awarded the Townsend Cup and afterwards were given a masterclass with the adjudicator, Brian Husband on ‘The Bluebird’ by Stanford. 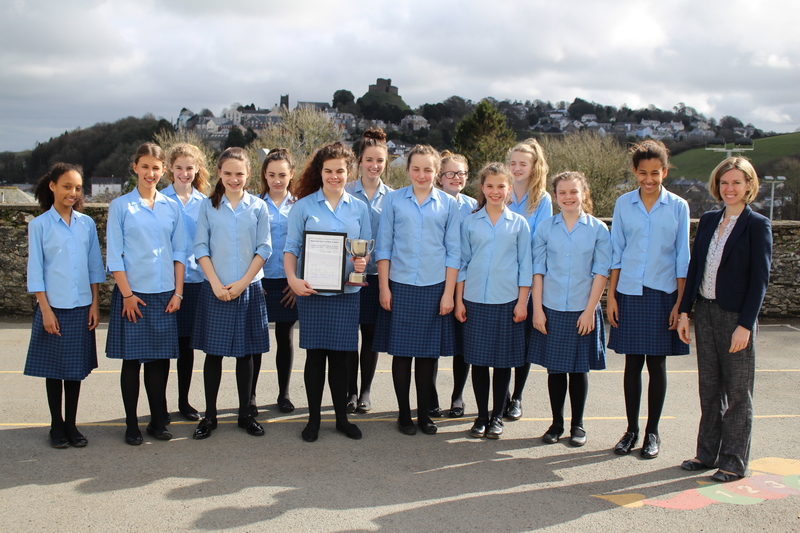 The adjudicator’s comments included that Canzonetta featured a “very beautiful, focussed, gentle legato,” and telling them that they “engage most effectively, and sing with musicality, expression and poise.” Praise indeed for a very proud choir. 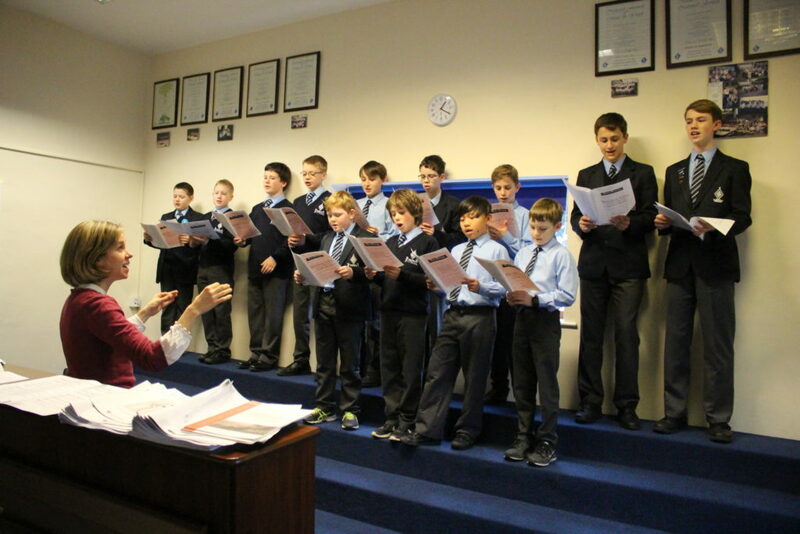 Many pupils also participated in instrumental and vocal classes. A special mention must go to Ben Hodgson who entered the festival for the first time and was awarded the Wadebridge Festival Singer of the Year. Many congratulations to all the pupils who took part and a huge thank you to all the music teachers involved and the parents who came along and supported. Congratulations to our Junior School Choir. Winners of the Primary School Choir 2017 singing two contrasting pieces. The school year seems to be flying past, and today is as busy as so many here at school. Canzonetta sounded fantastic practicing for Wadebridge in the additional rehearsal Mrs Whitehead has kindly put on, in addition to the two opportunities for choir practice on Monday. While Mrs Mann may be enjoying what I am sure is a very busy retirement, all at school are looking to build on her legacy and continue St Joseph’s excellent musical tradition. I look forward to hearing great things fromWadebridge from all of our competitions across the Junior and Senior schools. Thank you to everyone who has helped prepare the children for what is an excellent opportunity to show just what they can do. I am delighted to be the new Director of Music at St Joseph’s. I have recently moved to North Devon, from Sherborne, where I have been Director of Music at Leweston School Sherborne for six years. In my previous role I was able to nurture a range of talent of both instrumentalists and choirs, all of whom had their own identity. I particularly enjoyed opportunities for the students to perform in nearby Sherborne Abbey and at local festivals. As a conductor I enjoyed directing the Joint Sherborne Schools’ Orchestra and Leweston Choral Society, who performed choral works ranging from Mozart’s Requiem to Duke Ellington’s Sacred Concert and Alexander Le Strange’s Ziimbe! I have also been Musical Director of the People’s Choir, Yeovil for two years and enjoy running singing workshops. My musical career began at the Royal College of Music, where I was a clarinet and piano Foundation Scholar, and then a Junior Fellow. I am fortunate to bring to my present role a wide range of experiences as both a professional performer and teacher. On leaving college I played with a number of London Orchestras as a clarinettist, and this led to work as a chamber musician and soloist all over the country and education and outreach work in a range of schools. My interest in historical instruments took me to France for two years, where I studied for a Masters Degree and I still enjoy playing in a historical basset horn trio. Bringing people together through music is something that has always motivated me. A year teaching at Kampala Music School, Uganda was a catalyst for wishing to pursue a Director of Music Role in the UK and since then I have enjoyed encouraging students to play together as chamber musicians, sing together in choirs and include the wider community wherever possible. I believe that people can achieve more than they thought possible and music is a channel through which everyone can have a voice. I am particularly impressed with the choral tradition at St Joseph’s and am excited about developing the students’ enthusiasm and opportunities for performance further. It is particularly refreshing to see such a healthy interest in singing for the boys and I hope to encourage more to join our boy’s choir, and introduce perhaps into a barbershop group or even a larger choral society. I would like to encourage our instrumentalists to play together, accompany each other and experience the vast range of repertoire out there which can be approachable to everyone. My other love is the great outdoors, especially walking with my husband, one year old son and cocker spaniel on Dartmoor and sailing 1930s yachts on the Norfolk Broads.